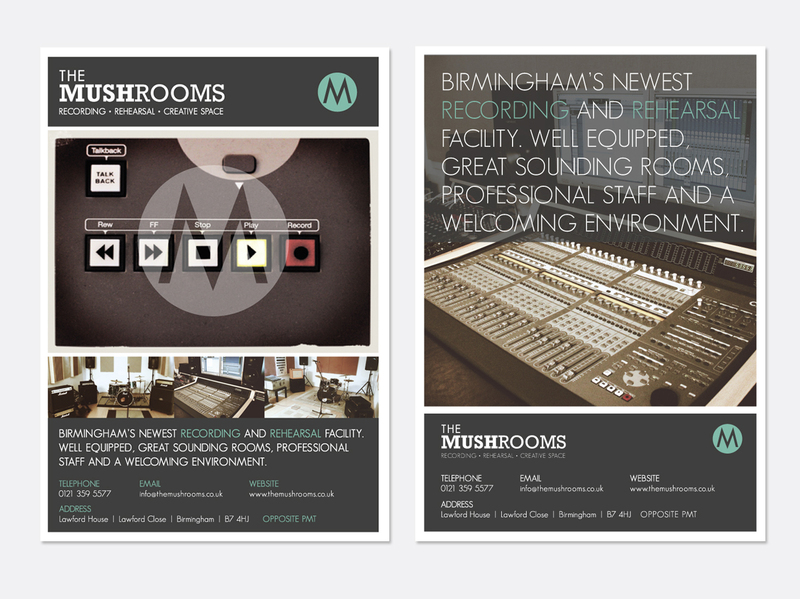 This busy Birmingham-based recording studio commissioned us to design their visual identity. 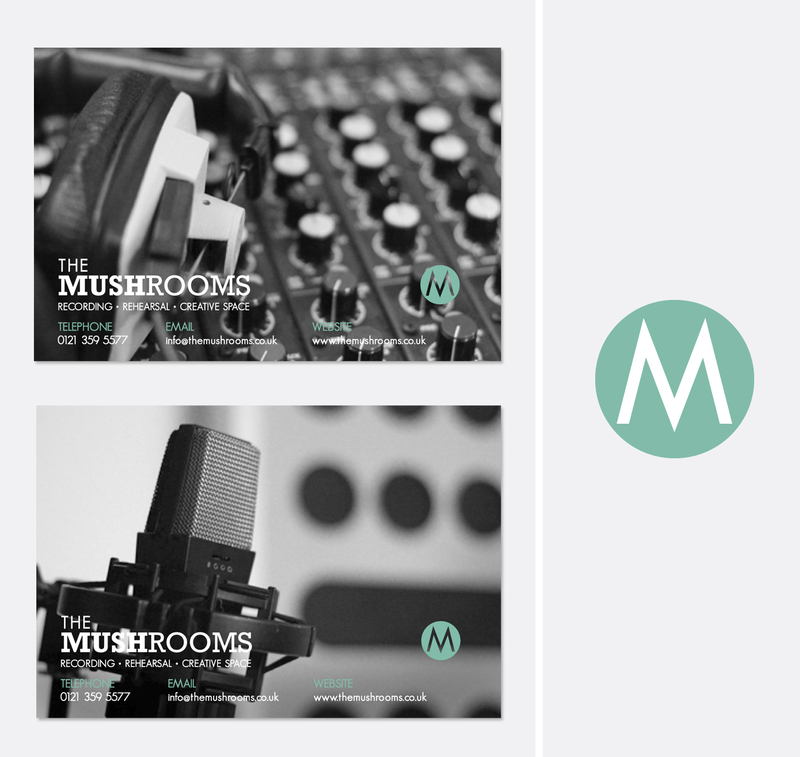 Combining simple typography with photographs of the studio and its equipment, we created postcards for distribution around music stores — providing local musicians with an insight into this creative space. 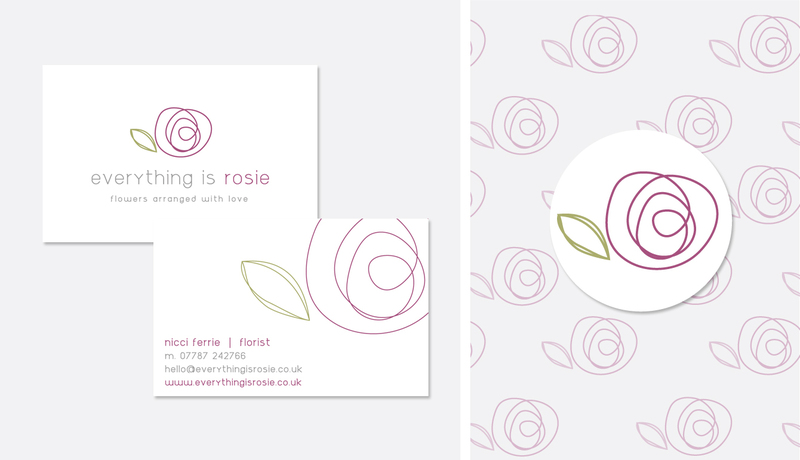 Identity, logo design, stationery design, photography. 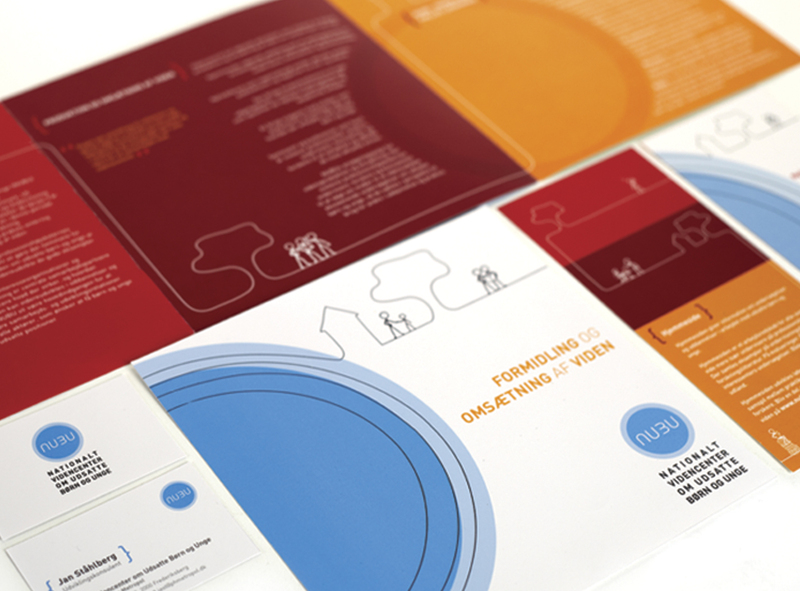 We were approached by the Danish Metropolitan University to create a range of printed materials for upcoming seminars. Acting as a link between researchers and professionals, the centre specialises in sharing information with those who work with disadvantaged children and young adults. As an established research centre, they didn't want to change their logo dramatically but understood the need to refresh it. 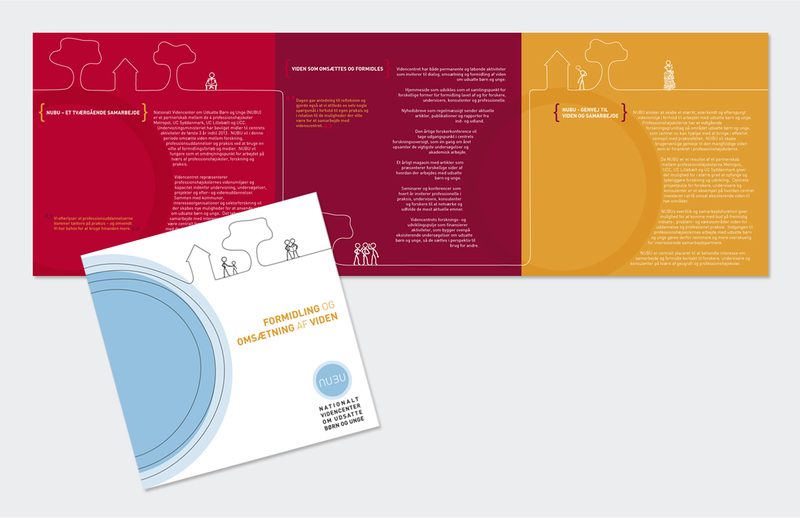 Keeping the circle as the focal point to represent NUBU as the nucleus and adding the line (which radiates from the nucleus), we were able to link the research with how it is used by the carers, physios and other professionals. 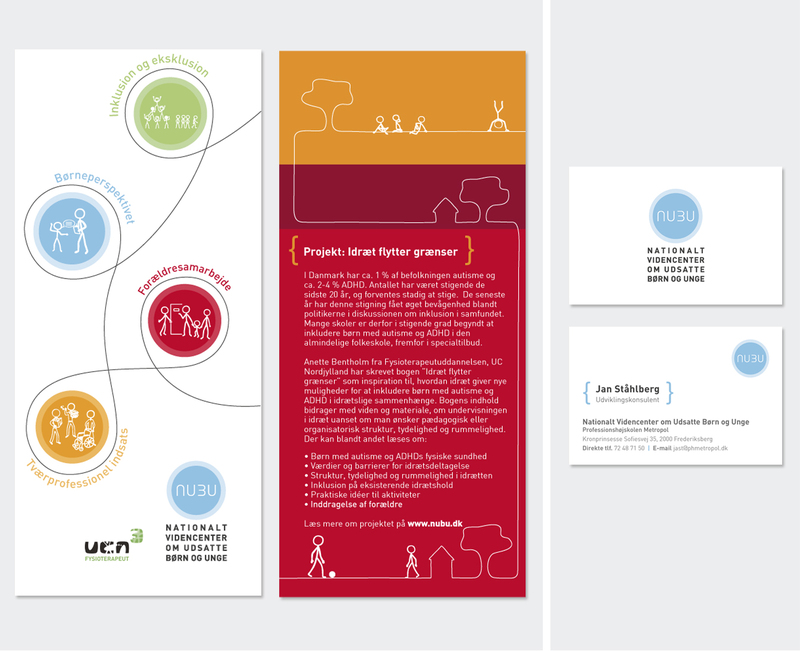 We created illustrations to showcase the professionals at work, and also introduced a bright, bold colour palette to make sure that NUBU stands out at events. This well-established Midlands-based, family-run electrical retailer felt they needed to update their corporate identity to attract younger customers, so we created a new logo along with a series of newspaper adverts and flyers. 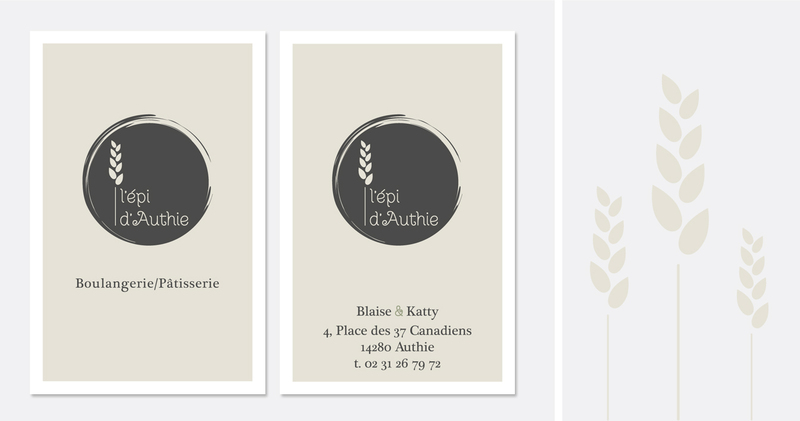 After buying an existing boulangerie, Blaise and Katty asked us to create a new image that wasn't too traditional but still reflected the boulangerie's rural Frenchness. 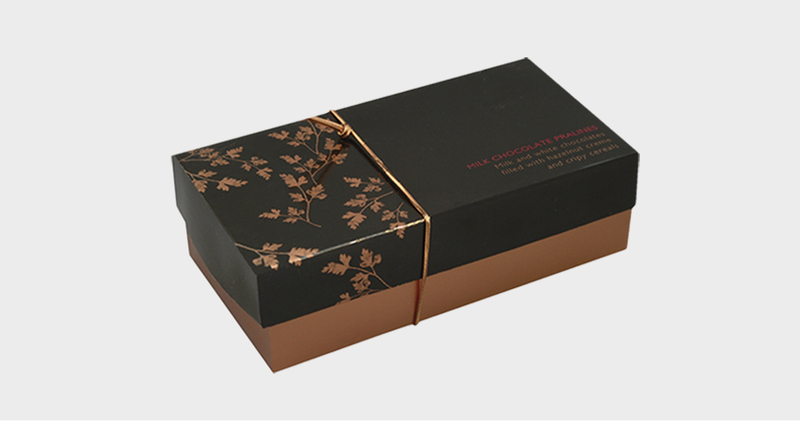 It also needed to be versatile and easy to print in other media, like labels or stickers. We chose to use an outline of wheat plant combined with a simple shape — keeping the earthy, natural tones. 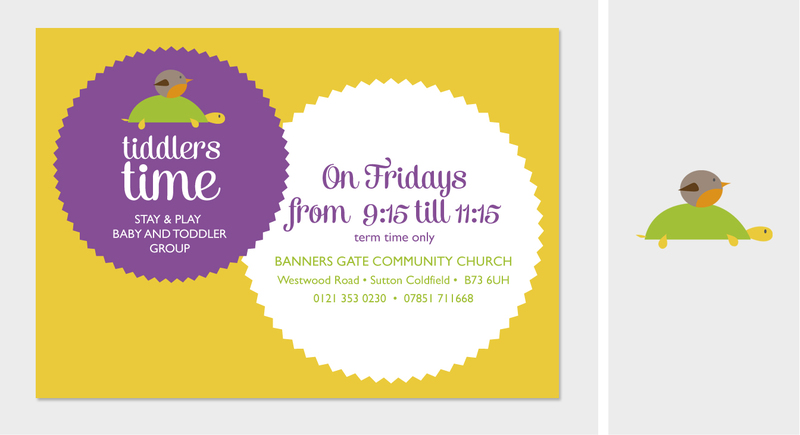 Midlands-based Banners Gate Community Church commissioned us to design a bright, fresh and welcoming logo and promotional flyers for its new toddler group. 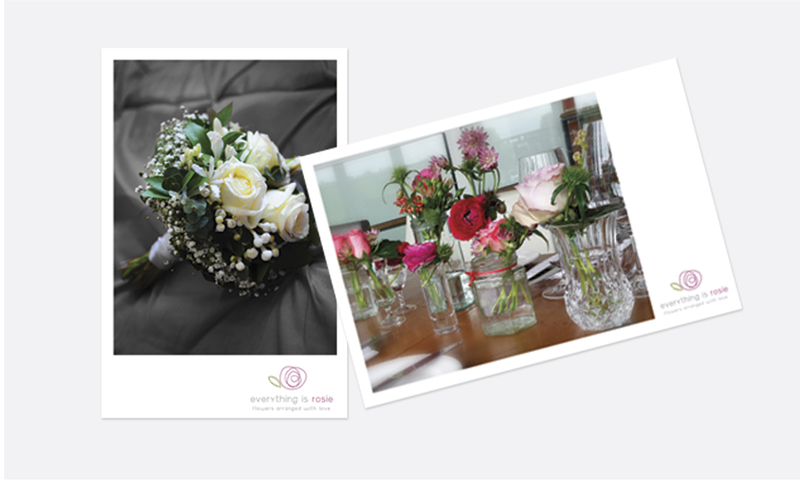 Warwickshire-based florist Nicci has an organic feel to her gorgeous floral arrangements. 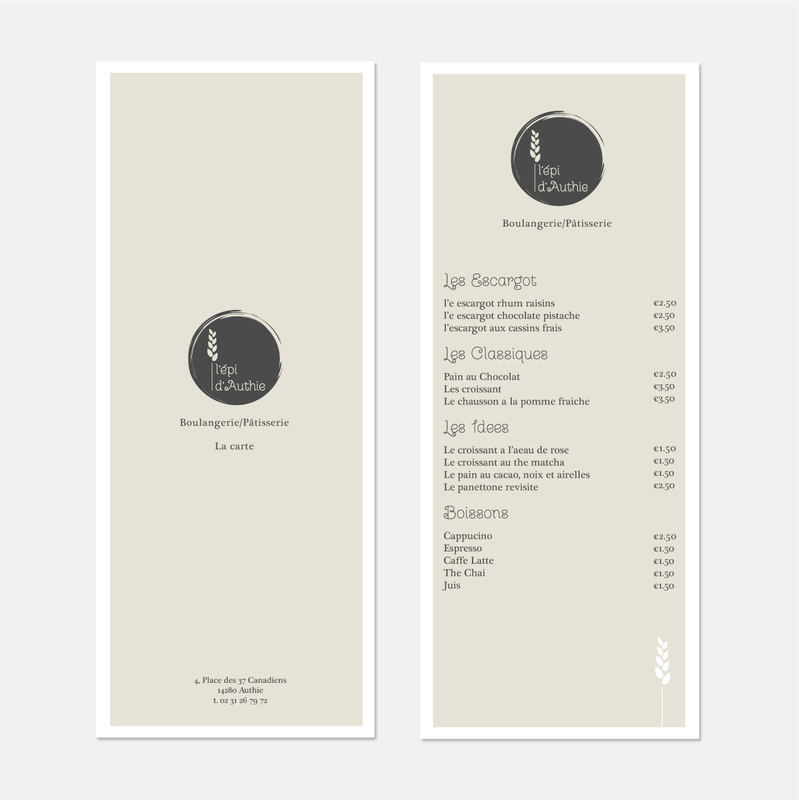 Simplicity and elegance with a vintage feel were keywords in our minds when creating a new identity for the business. Debonair Venue Styling commissioned us to create their brand new identity. As they are bespoke venue stylists this needed to succinctly define their image, whilst reflecting their uniqueness and creativity. 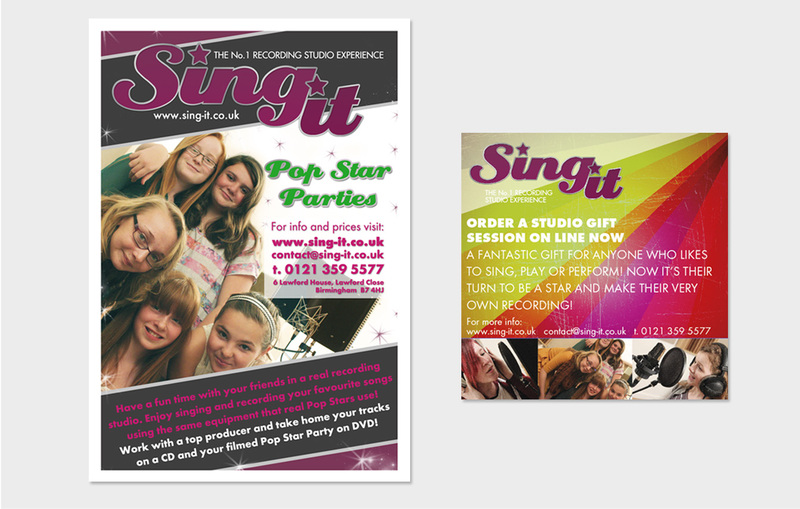 Sing It is a recording studio based in Birmingham offering a range of recording studio experience gifts for all ages. They wanted to keep their image quite modern and give people an insight into what they're all about. The new website is simple to navigate, making it extremely easy for clients to choose the experience they require. 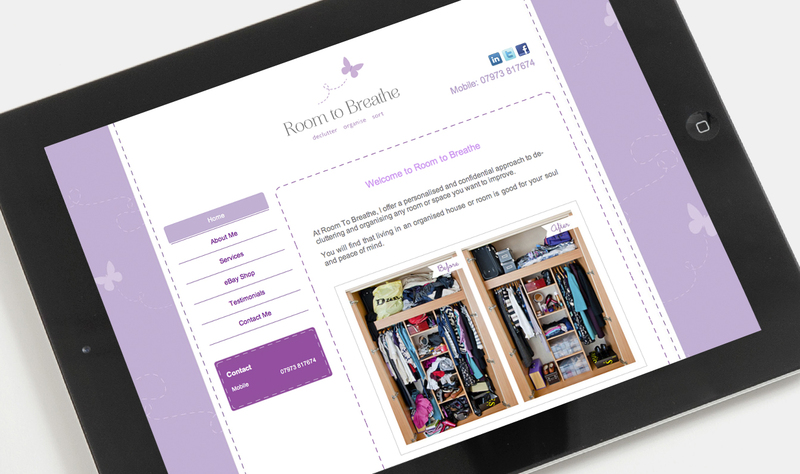 Room to Breathe specialises in de-cluttering homes. The logo needed to be simple and at the same time give an impression of ‘freshness’ and space. With that in mind, we introduced the butterfly — conveying the idea of a clutter-free room where it could fly! 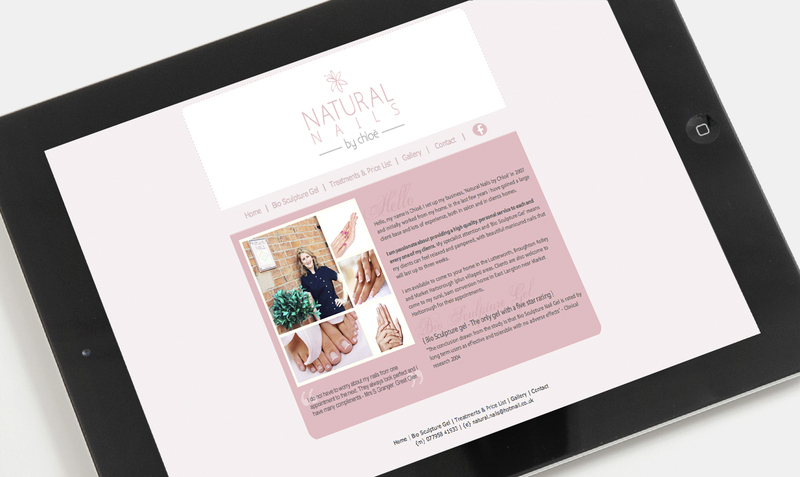 We created a simple and delicate corporate identity to reflect the artistic nature of this Leicester-based nail technician business. 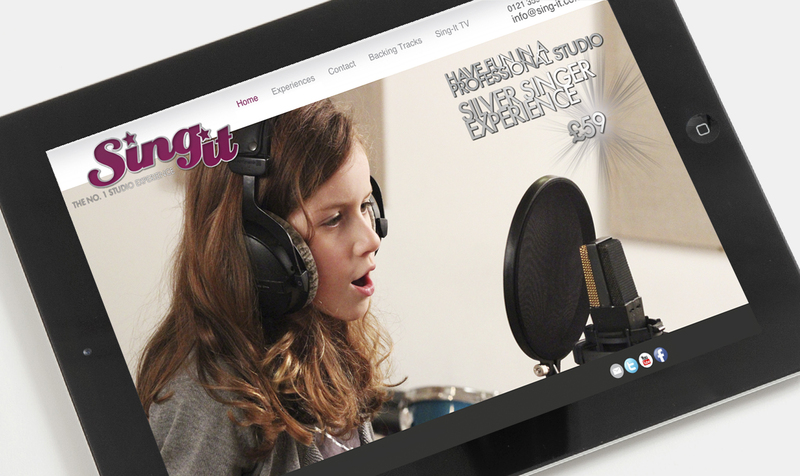 From a simple website to an e-commerce site, we can offer you a bespoke website with all the ‘trimmings’. 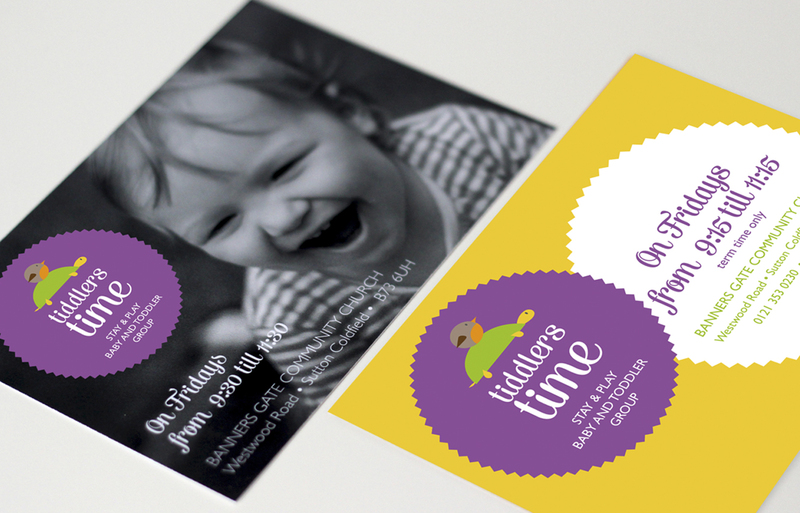 Get in touch to discuss your ideas and budget. 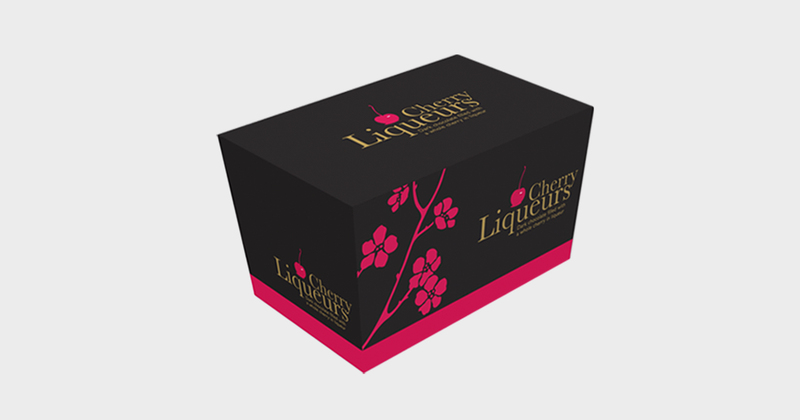 From labels to CD covers, cosmetics to confectionery products, we create beautiful packaging design with impact — giving your brand a very distinctive place on a shelf. This is an area where we can apply our eco awareness, so we're always on the look out for alternative recyclable materials that have minimal impact on the environment. Designing album/EP covers for any music genre is a total joy! 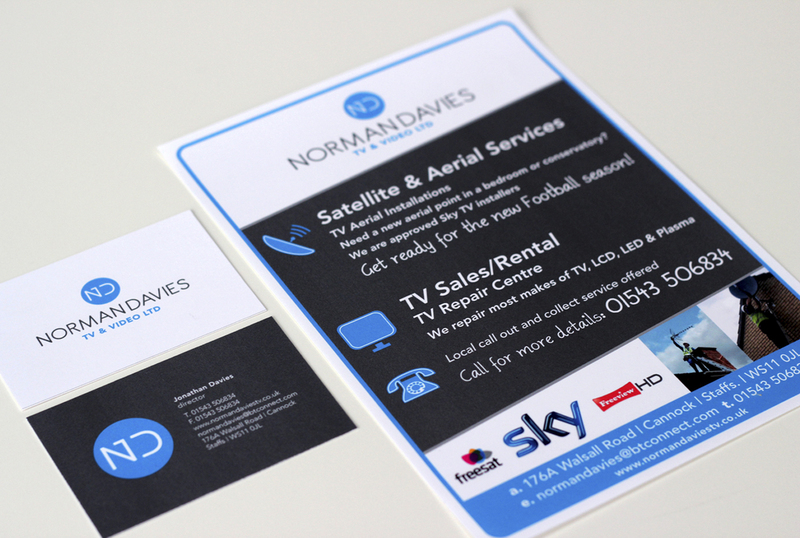 Working closely with you, we can create some stunning work that is sure to get you noticed. If your band needs a logo and/or photography, we can help with that too. Album cover for Renato Martins — renowned Brazilian percussionist. EP cover for Quill — a very popular Midlands-based Celtic Rock band. EP cover for up-and-coming rock band, Dharma Sunset. 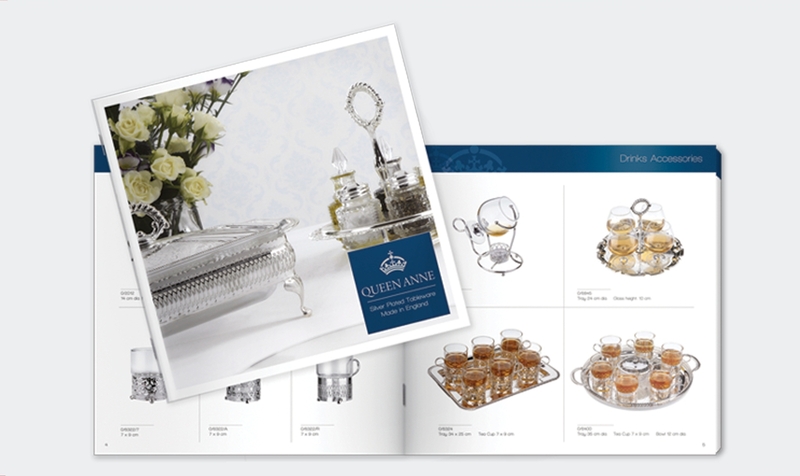 Queen Anne is a Midlands-based manufacturer specialising in silver-plated tableware and giftware. 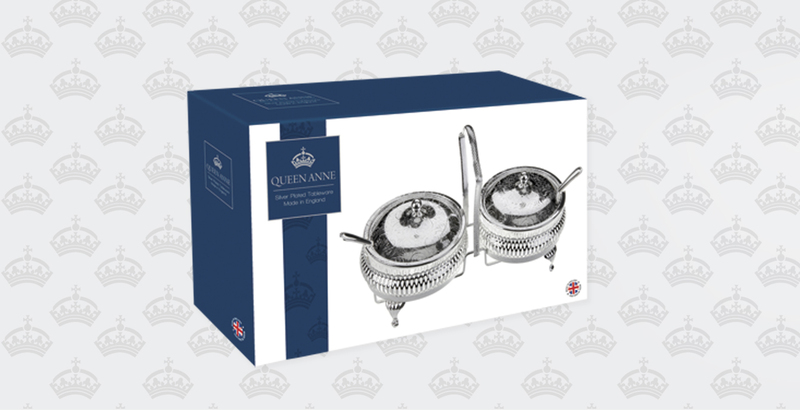 They wanted to update their image while keeping it traditional as the majority of their loyal clientele is based in the Middle East and buy Queen Anne products because of their ‘Britishness’. We kept the crown symbol and introduced a new typeface, resulting in a sophisticated look in keeping with their own classic style. A strong brand identity for your business will give it a better chance of getting noticed, whilst conveying the very essence of what you do and what you stand for. 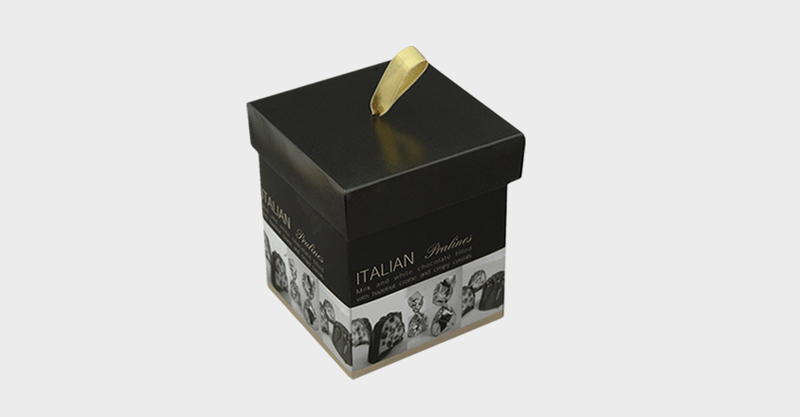 We endeavour to get to the heart of your aims and objectives before we look for inspiration and start our sketches. We create ideas and then refine them to give personality to your business — making sure the brand message is consistent and authentic. Grow - trees for the streets, is a campaign created to promote the benefits of urban tree planting. 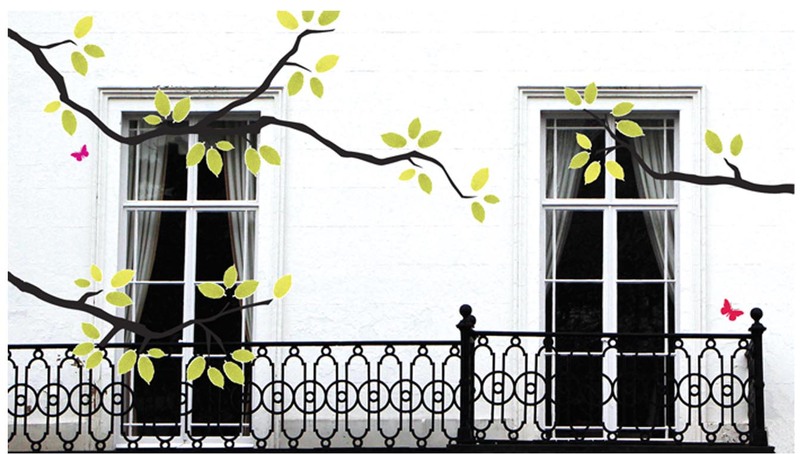 Through the production of a series of photographs of the Regency style buildings of Leamington Spa and the creation of tree branches illustrations superimposed over the images, the project aims to visually show how places could improve when more trees are planted. A research was conducted exploring native trees together with a deep study of appropriate trees that suit urban environments. Using ten sets of two projections, with and without trees, representing the actual situation and the possible version the objective of this project is to create awareness of the benefits of a greener environment whilst investigating the social, psychological, economical and environmental aspects involved. The outcome was an experimental video showing the buildings as they are and how they could possibly become if more trees were planted.